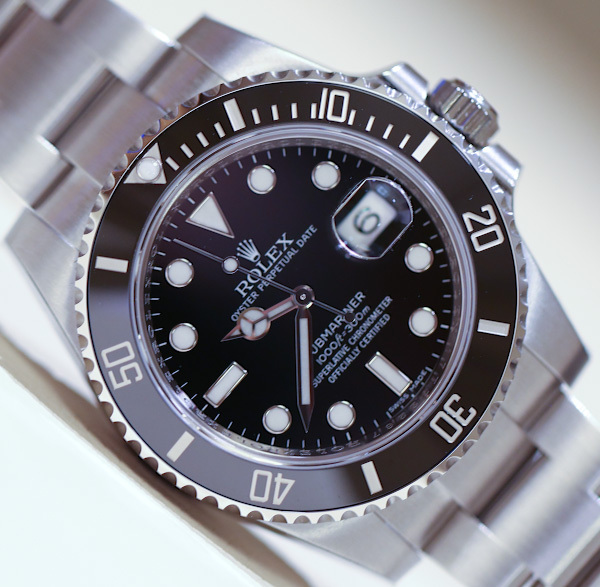 The Rolex Submariner is a legendary watch with a long history and development. Since 1953 it has been the world’s most iconic diver’s watch, and it continues that tradition today. Officially known as the Rolex Oyster Perpetual Submariner, it has been improved upon many times throughout the years, and has become one of the most popular and identifiable watches in the world. The Rolex Submariner has been worn by countless celebrities, dignitaries, adventurers, and sportsmen throughout the years. Made famous in the 50s worn by world famous divers like Jacques Cousteau, even James Bond wore the Rolex Submariner before switching to Omega. One of the things that makes this luxury watch so amazing, is that it is truly a functioning tool as a dive watch and sports watch, and not just a very pretty face. The Submariner is crafted to be almost bulletproof, and it’s probably the only dive watch you could wear with a tuxedo. Over the years, it’s style and luxury looks, have never compromised the craftsmanship of this truly iconic sports watch. It’s popularity continues to grow and it has become a favorite of collectors worldwide. In the 1950’s you could pick one up for $150, but the watch retails now for around $8,500. And like other iconic luxury watches, it can gain in value over time. 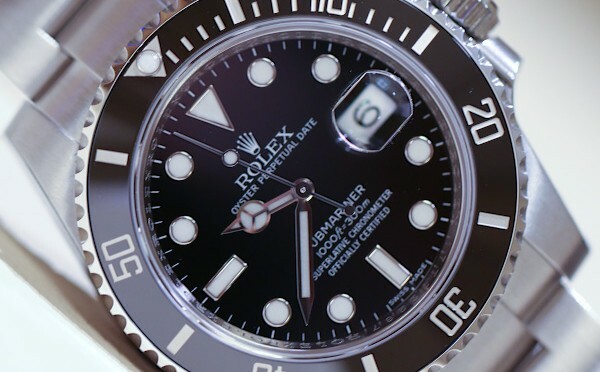 If you’re looking for a Rolex Submariner, Jewelry-N-Loan in Costa Mesa, CA is a good place to start your search. We offer pre-owned and vintage Rolex watches at amazing prices, and if we don’t have what you’re looking for, we’ll help you find it. We have been a family run business with a passion for luxury watches for decades, and our reputation is second to none when it comes to quality and service. Contact Jewelry-N-Loan today.